There’s a Web site called Awkward Family Photos that I think it’s hilarious! As the name clearly mentions, it’s a website that’s all about showing some extremely awkward family photographs, whether the awkwardness stems from families wearing scary matching outfits, posing in cheesy or odd positions, or includes some obvious (and awkward) digital bloopers. I love this Web site, and I can definitely relate, especially when I think back to some of my old middle and high school photos. In my experience, it seemed as though the entire “Picture Day” process always ended up being an enormous disaster! I remember, what seems like so long ago, standing in a ridiculously huge line, outside in the summer heat waiting to get inside the auditorium (yeah … pretty much any makeup I had on had melted away, and my hair had gone flat too), only to finally reach the camera, and only get one shot to get a picture-perfect smile for that year’s school photo. “Tilt your head, hunny. Lift your chin. Smile big, hold it … hold it … one, two … ” Snap! Of course, you had to buy the picture packages in advance, before ever seeing the final photo … I’d beg my mom to get the largest package (who knows, maybe this was my year? ), and she’d talk me down to something much smaller. Each photo practically cost several dollars each, and it was incredibly expensive to buy any of these pictures at all! And, like every year before it, when the photos had been developed and finally arrived, I was always absolutely horrified by the results. Whether I was giving a half smile or the fact that you could see every single blemish on my face, I always hated my school pictures. I wasn’t the only one either. I kid you not, there was always some poor child who happily picked up their photo package only to realize that their one and only shot for the yearbook had caught them with their eyes closed. Now, that was awful. I would always wonder if these unfortunate kids with closed eyed pics also asked for a second shot, just to be told, “No, hunny. You looked great.” Liar. With today’s high-end digital cameras, I doubt that school photos are ever taken and printed with closed eyes, but these school photo packages are never really ideal for many reasons: They’re usually very expensive, you only get one or two chances for taking your photo (instead of taking the time to take the best shot possible), and the photos are never edited (and show every last pimple, blemish, etc). So, why do we keep investing in these overpriced pics? I say, don’t! 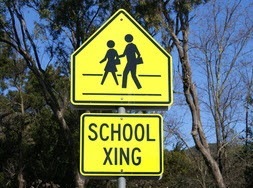 This year, don’t buy the unnecessary school photos, or at the very least, just buy less! Instead, take your own school photos—photos that your child will be proud to hand out to their friends. It’s not very difficult to take good pics, just follow the six school photo tips below and your child may be very pleased with the results—and not traumatized—like I was! 1. All About Hair, Makeup, and Clothes. Visit the Awkward Family Photos Web site I mentioned and you will get a very good idea as to why hair, makeup, and clothing is so very important. Your best bet is to choose items or products that won’t lock your child into an era. Try to go for pretty, classic hairstyles, and always make makeup look natural. If your child is young, they obviously won’t need any makeup, but if you have an older daughter, keep in mind that for photos, you typically have to apply more than you would wear on a regular day (to cover blemishes), but you always want the skin and makeup to appear pretty, simple, and natural-looking. Same for clothing. Always go simple and classic. Avoid white in photographs, and choose long sleeves and three-quarter sleeve shirts or cardigans which look better in photos that short sleeves or tank tops. For example, a solid colored, clean-looking blouse or a long sleeved collared shirt, with little in the way of stripes or design, is a great option. 2. Be Choosy About Backgrounds. Of course you want these school photos to be as professional looking as possible, so be extra cautious of busy backgrounds! Even if the background is pretty, filled with things like plants and greenery, you want this to look like a school photo, so stay indoors, and find a solid background. You may even want to use a pretty patterned drape or curtain and use it as a backdrop. Hang it on the window or attach it to a wall, and use it to create a traditional looking school photo background. 3. Set Camera Settings for High Resolution. Make sure that your camera is set to the highest resolution picture-taking settings as possible. You want the best, clearest photos to come out of this project, and while you can always lower the resolution and file size within photo editing software, you want to work with the highest resolution possible first. 4. Try a Super Shutter Camera. Investing in a digital camera with a super-fast shutter is absolutely worth the big price. Ever wonder why so many photos end up blurry? It’s typically because we click on the button to take a picture, expect the photo be shot, and our subjects move (even if it’s ever-so-slightly) or we move our camera (thinking the picture is finished). The picture actually then takes (obviously delayed, and taking it’s sweet time), and the result is blurred photos. Save your beautiful portrait shots and create “more-photogenic” school photos by either using a faster-shutter digital camera, or taking your time with a slower-shutter camera. Your child needs to stay completely still for three seconds after clicking the camera button—and same goes for you, the photographer. Three seconds may seem like a lifetime, but you can do it, and it’s more than worth it! BONUS TIP: When taking your school photos, try using the “Portrait Mode” setting on your camera. 5. Edit the School Photos. No matter how you much you use the tools on your camera, adjust the lighting, and try to perfectly frame a shot, it’s not uncommon to take digital photos and still feel disappointed by the results … no matter how talented you are! Digital photos often times have flaws. But what’s great is that you can digitally fix them easily with Photo Editing software! Simple edits in Photoshop or Photoshop Elements can enhance your photos and restore them to the way you intended them to look! Oh, and remember how awkward school photos can be? They don’t have to be unfortunate anymore, thanks to the wonders of photo editing! Remove distracting pimples and blemishes from young adult skin—even airbrush skin for an ultra-professional-looking photo! You may even want to remove a few wrinkles and perhaps even try digi-tanning! 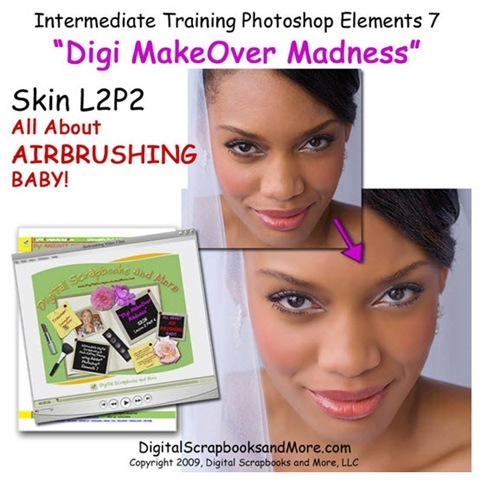 See Digital Scrapbooks and More’s ridiculously inexpensive Digi Makeovers (most are only $1.99 and don’t worry about software- you can get a free trial of Photoshop Elements from the Adobe website!) for super-easy tutorials on easy ways to edit your pics. Why not give it a try? These are important photos! Last chance to bust out of the rut with a virtual makeover! Send in your photo to Afterglow Cosmetics TODAY ONLY and receive a Virtual Makeover! The offer ends at 11:59 pm on April 16th! We’re all guilty of it; we find our favorite makeup shades and never stray. This week we invite you to take advantage of Afterglow’s Virtual Makeover Appointment, which offers you a complete makeover without having to leaving the house. It’s time to experience new shades. Let’s bust out of this rut! 2.) Along with your photo send a list of your favorite shades to sport during spring. Upon receiving your photo one of Afterglow’s Beauty Advisors will send you a list of shades to complement your individual skin tone and features! Afterglow’s make up collection is entirely gluten-free. After Yodit’s Afterglow makeover. Afterglow suggested Yodit try our Organic Mineral Blush in Tickle, Mineral Eye Shadow in Whisper and Sage, Ultra Matte Eye Shadow in Cocoa and Organic Lip Love Lipstick in Afterglow.